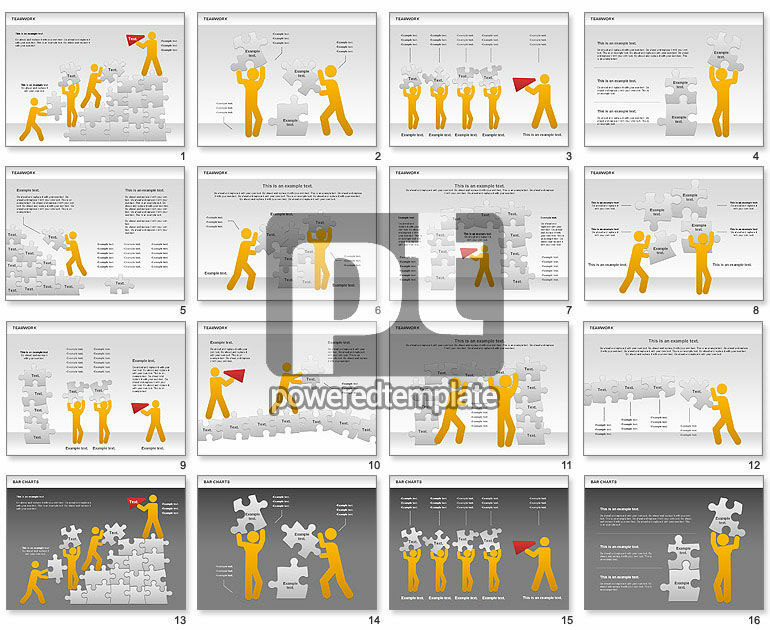 These presentation slides 34477 are complete compatible with Google Slides. Simple download PPTX and open the template in Google Slides. Teamwork with Puzzles Diagram will be ideal solution for presentations on teamwork, team efforts, coordinated work of team, etc. Could be used in business presentations on leadership, self improvement, staff management, task management, etc.